Eric Frein shot and took the life of Bryon Dickson. Darren Wilson shot and took the life of unarmed Michael Brown. In one case, all efforts are to bring the suspect to justice no matter the cost. The police forces are even keeping those living in the area from leaving their homes as housebound for twenty-four hours at a time and for those homeowners that were out on the road, blocked from returning to their homes separating family members in both cases. In the other incident, all efforts by officials and the right-wing have been diverted to praising the shooter while demonizing the victim. Chief of the Colonial Regional Police Department in Northampton County, Pennsylvania in regards to the trooper killing expressed, “It was a tragic event that was totally uncalled for.” Ferguson Police Chief, Thomas Jackson misled in his initial actions against recommendations of the Justice Department by releasing a video of Brown supposedly robbing a convenience store of cigars and that is why Wilson had justifiably confronted him inferring it was called for. Jackson later states after calls for his resignation, “Thirty-five years in the community being the good guy, now I’m internationally the bad guy…that hurts. But it is what it is.” Of course it hurts, but it doesn’t necessarily have had to be “it is what it is,” for it is solely due to his choice of responding to one of his officers gunning down an unarmed eighteen-year-old…by vilifying the victim and defending the offender. A grand memorial and funeral was held for the fallen trooper by innumerable police forces in honoring and attendance. For Brown’s memorial, St. Louis area police forces led a K-9 dog up to the flowered and memento shrine area, instructing the dog to pee on it and allowed it to finish. Once the policemen left the memorial area they drove their squad cars over it. Not one Ferguson police officer attended Brown’s funeral to represent the police department’s respect and condolences. In one instance, I s’pose it is to show and highlight the bonds of the police brotherhood, but for the other…to show the solidarity of the black brotherhood, well now that’s just plain racism. There has been a rash of Michael Brown incidents and unfortunately a few since of a white cop shooting an unarmed black. Just this past September 15th in Utah, 22-yr-old unarmed Darien Hunt, a young black man was shot dead by Sarasota Springs police officers. They’d confronted him claiming he was “suspicious” as he was walking down the town sidewalks dressed in costumed medieval garb with a plastic sword slung around his back. He was just walking down the sidewalk minding his own business. Funny that though, for Utah is one of those red states that have ‘open carry’ laws where it is legal to carry firearms in the open. So it appears one is not “suspicious” if packing an AK-47 around town, but if it is a toy sword, well that’s altogether another matter. For sure, the heavily armored military style police reaction to the protesting of Brown’s shooting was uncalled for, but still further, the St. Louis area police forces are going totally in the wrong direction for mending wrongs. In response to the Ferguson incident, the St. Louis Police academy is offering a course that appears more concerned on how to conduct damage control rather than learning behavior avoidance of future similar incidents. 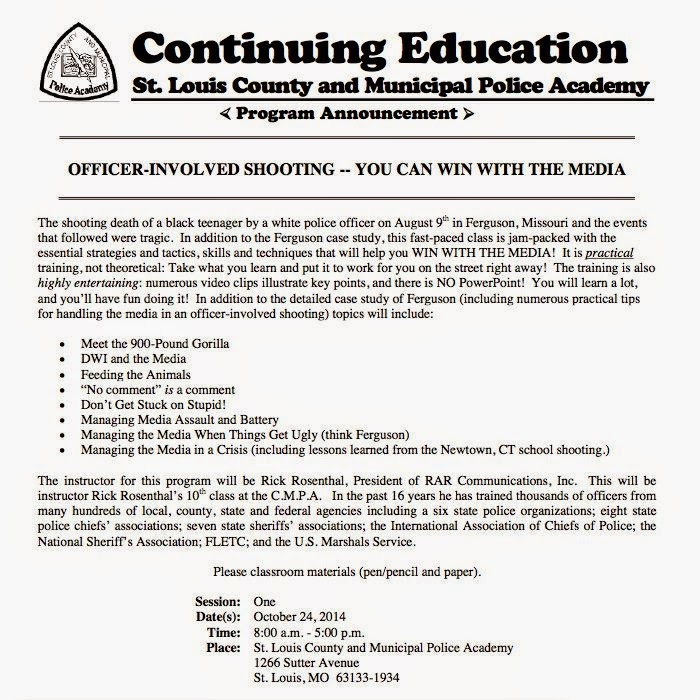 In the brochure promoting the course, it stresses if an officer is involved in killing an unarmed victim, such as the Brown/Wilson Ferguson case, the best thing to do is win over the media and the course will teach you how. It’s as if it is A-OK to kill an unarmed person for the course’s intention is to help in glossing over the incident with the media, not avoid a fatal shooting. It even claims to “entertain” while learning the techniques and tactics of winning over the media. A copy of the course’s announcement is below. On September 23, the memorial remake for Michael Brown that was earlier ran over by St. Louis area cops was burned as cops simply stood back and watched. 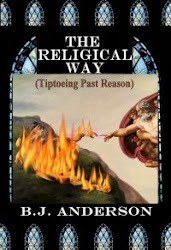 Witnesses said they smelled accelerants, but police forces insist the origin of the fire is a mystery suggesting perhaps some lit candles caught the memorial ablaze. Agitated citizens began protesting where the police began to break it up. Witnesses said some cops had their name plates blacked out with electrical tape while wearing black wristbands brandishing a, “I am Darren Wilson” slogan. First off it is unlawful for a police officer to conceal his name plate. Secondly, these wristbands would naturally stoke an already riled and irritated crowd even more. What kind of message do the cops think it sends; that it is OK for cops to kill unarmed folks? Another smack by police forces extends well past Ferguson, Missouri for it is being conducted by them all across the nation on an individual and organized basis. As long as peacefully doing so and not interfering, anyone has the right to film police actions. But lately and in particular since Ferguson, cops have been threatening those filming their actions of arresting them, have actually accosted and made arrests no matter whether amateur or professional photographer, have confiscated camera equipment and have labelled those filming or photographing as “domestic extremists.” This is rather a severe charge as then the FBI must get involved and investigate the camera folks as ‘domestic terrorists’. In virtually every case brought to the courts, the judges have ruled in favor of the defendants upholding constitutional rights in filming police activity. Sometimes it appears that cops are simply bored and want to escalate situations. On Tuesday October the First in Tallahassee, Florida police were patrolling a black neighborhood looking for anything drug related. They drove past three people walking down the side of the street. Once they passed them they backed up and decided to arrest them for walking on the street…on a street that had no sidewalks. Viola Young, a grandmother of sixty-two comes no closer than thirty feet from a squad car to ask what is the reason for the arrests. The police instruct her to leave. One cop approaches her to handcuff her. She then does as she’s told and begins walking away. The cop feeling offended then proceeds to taser her in the back where she falls flat on her front side face first in the street, fracturing a wrist. The tasering incident was totally uncalled for as the Tallahassee Police Department is instructed not to use incapacitating force unless active physical aggression is ongoing. The cop was simply annoyed in her walking away from him cuffing her. The recording below caught the incident on cellphone video by a neighbor of Mrs. Young’s living right at the scene where he filmed it all from his front porch. Without this tape, the offending officer, Terry Mahan would have gotten off scot-free as his initial report raised no eyebrows. Once the tape gained exposure, things changed and Mahan has been put on administrative paid leave. If police forces are looking for credibility from the public, this is not the way to enhance that pursuit. There are a few good events coming out of all this and it is not to the particular liking for the conservative Republican. There, as of late has been a surge in voter registration in Ferguson, Missouri. 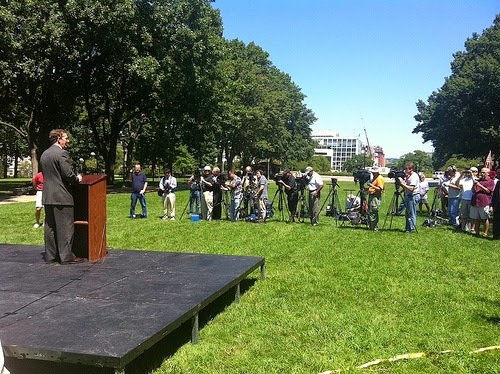 Since the First of October there have been 4,839 new voter registrations filled out in St. Louis County. Of that, 3,287 of them live in Ferguson; a town population of 21,000. This amounts to a surge of 15.65% in new voters with a majority of them being first time black youth voters. 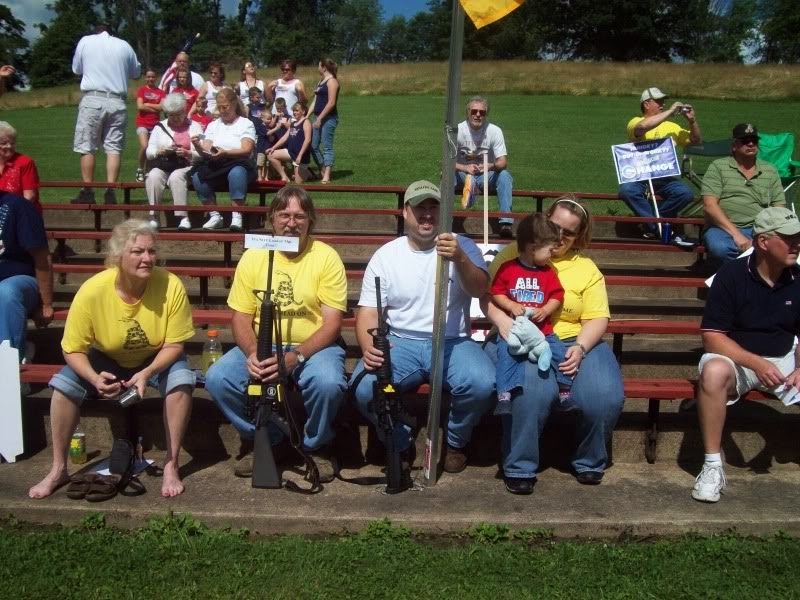 Imagine that…a Republican thoroughly “disgusted” in and by exercising America’s most fundamental right…to vote. But if he really doesn’t know what’s “fanning the political flames,” it might be wise for someone to whisper through his earwax and let him know…it’s cops killing unarmed blacks. Oh, I don’t know if a so called liberal affront is at this, it’s most likely citizens that are fed up with how their community is being treated don’t ya think? After all…two-thirds of Ferguson citizenry is African American where five of its six city board councilmen are white, including the mayor and its fifty-three member police force is made up of fifty white officers, including Jackson the police chief. Ferguson residents simply think it’s now high time to put their government to work for them. Correct me if I’m wrong, but isn’t that what American government is all about with varying factions…to push your side’s agenda and get out its message through and for votes? It appears that the Republican disgust for registering new ethnic voters says more about the right wing’s primal mindset than it does about legitimately registering citizens to vote. This woman’s words may not represent Republicans as a whole, but due to their actions in public program attacks, voter suppression and reverse racial claims…it certainly reflects upon their thoughts. To stress that point, let’s consider a little confronted debate I had on a Tea Party blog site. A fella was complaining about how tired he was in “libturds” expressing the Ferguson incident as racial and that it has happened the other way around in Orange, Texas where a black cop shot and killed an unarmed white man. What he was referring to was a 2011 incident where Officer Robert Arnold (who is black) shot to death, unarmed James Whitehead as he sat in the driver’s seat of his pickup attempting to leave after slinging a few racial slurs. Without a doubt, Arnold, who was cleared by a Texas Ranger investigation should be tried just as Officer Darren Wilson should be. The point is a black cop shooting unarmed white victims is much rarer than the other way around that has a trend. The blogger had to dig this one up going all the way back to 2011. With this incident though, the right praises the victim while condemning the offender…just the opposite in the Ferguson incident. Conservative headlines referred to Arnold as “killer” and pointed out the shooting was unjustified, for racial slurs are not a reason for being shot, or Whitehead’s aggressive conduct at the auto parts store may have been unbecoming but was no reason for being killed. Sound familiar even though the argument is in reverse? Why does the average Republican see this case in totally different lenses? Both the Ferguson and Orange incidents exemplify excessive police force and wrongful victim’s death, but Republicans don’t see it that way. How come? One has to determine that it is based on racial prejudice, nothing more or less. For all you right-wingers presently rooting for the police forces in all these shooting incidences of unarmed minorities, allow me to forewarn ya…it just might come back to haunt you and spread the police force’s overreach outwards directly affecting you. What I’m speaking about here is civil forfeiture. 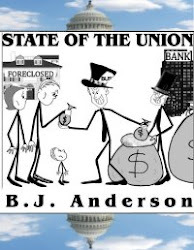 All citizens now are under the guises of harsher civil forfeiture acts where any local, state or federal cop can seize a person’s cash, car and even home without the owner they have taken it from in being charged with any crime. Watch the video below as John Oliver so poignantly explains. The media and pundits are purporting a GOP wave in the upcoming elections. I simply do not see it. This “wave” narrative is not real; it’s all made up and will catch them off guard just like when they were so sure that Romney would win in the 2012 election...even to the point of Karl Rove playing the deer caught in the headlights over at ‘Fox News’ and even Romney himself not even preparing a concession speech until after the last minute because he thought he had it in the bag. Why...because they believed in their own party’s rhetoric instead of facing mainstream facts. Besides being for anything anti-Obama can anyone please explain what the Republican Party currently stands for? Other than attempting to sue or impeach Obama what is their agenda or platform? Oh, ya lately have Reince Priebus, chairman of the RNC vainly attempting to rebrand the party as the one chock full of ideas ranging from jobs, immigration, national security, and healthcare, but he gives no details and is a bit too late in rebooting. As far as jobs go, the only item Republicans can boast on is corporate deregulation policies and rich folk tax cuts that they contend will result in the trickledown effect. But as we all know, the trickledown never took effect throughout the W./Cheney and Republican congress reign; it only acerbated the middleclass’ dilemma in finding living wage jobs. The Republican House may have glossed over legislation as jobs bills, but they’re nothing more than aiding the few that don’t need help right know…namely corporations and the wealthy. While the middleclass still hurts for real viable employment and income, corporations are seeing record profits while the 3% wealthiest among us have seen incomes rise a whopping 30.5% of all income since the recession. This data is sourced from the ‘Federal Board of Governors’. The Republican approach to Homeland Security is an obsession on national security and when there is a Republican administration in the executive office or in charge of a congressional committee nothing is transparent as all things related to national security are labeled ‘top secret’. The only route they take is in scare tactics as they are now doing in Democrat smear campaign ads; which one against Democrat Congresswoman Staci Appel of Iowa bogusly claims she wants “passports for terrorists.” Does anyone reasonably minded really believe that? Other than scare tactics, current Republican politicians don’t want to vote on any legislation that pertains to national security, in particular concerning the Middle East, ISIL and the Ukraine preferring instead to play politics and let the president act alone where they can later point fingers if anything goes wrong. In his proclamation, Priebus states, “We need to start over with real healthcare reform that puts patients and their doctors in charge, not unelected bureaucrats in Washington.” But start over from where? Also, the last time I looked patients and doctors are in charge under Obamacare, not bureaucrats and certainly not insurance companies telling doctors what procedures they can or can’t perform. Obamacare is a success, so why mess with it right now with no concrete reasoning on how to improve it? Actually they could vote on improving it, but prefer to abstain. House Republicans could insert a few words into the healthcare law threatening a little over four million working Americans from losing their health insurance, but prefer instead to ignore it and blame it all on Obamacare. Republican committee lawmakers could easily end that threat by making it clear subsidies are available nationwide through the passed ‘technical corrections bill’. The issue here is that the current phrasing of the ACA Law can be interpreted to exempt moderate to low income folks from receiving subsidies as a health insurance consumer particularly in those red states that bowed out of Obamacare. Yes, Obamacare is looking bright regardless of the looming omens Republicans had falsely broadcast from “death panels” to “job killer.” Let’s look at a few of the GOP claims and then contrast that to real world. As we can recall, a little over a year ago Republicans shut down the government in an attempt to repeal Obamacare costing the nation $24 billion dollars. It failed miserably and in effect the American public won. First and foremost, it is indisputable now that more Americans have healthcare strictly due to the ACA law…20 million more actually. The ‘Commonwealth Fund’ report in the July 2014 ‘New England Journal of Medicine’ credits Obamacare as of May 01 in insuring an estimated 20 million folks. From 18% uninsured before Obamacare’s full implementation, the number has dropped to 13.4% among those 18 and older. This is not only good for the insured it is good news for hospitals as well for they are saving money. Remember the Republican cries that Obamacare will “destroy jobs,” “no one will enroll,” “premiums will go up,” “insurers will drop out,” “Obamacare will bankrupt the country,” and of course the mock on Obama’s statement that if you like your healthcare policy you can keep it. Just before implementing parts of Obamacare, in 2011 the unemployment rate was 9.1%. Today, just after one year of the total incorporation of the health plan, it is 5.9%. The gaff in the GOP wail calling the ACA a job crusher is actually in effect, nil and void, for it is the GOP wail that got crushed. 7.3 million Obamacare enrollees are paying their premiums. With a total of 8 million enrollees that equates to 92%. When considering how Republicans professed poor folks signing up would not put forth an obligation in paying their premiums…that prediction has sizzled. This past February after the ‘Congressional Budget Office’ released its report Republicans zoned in on one line that stated, “The reduction in CBO’s projections of hours worked represents a decline in the number of full-time-equivalent workers of about 2.0 million in 2017, rising to about 2.5 million in 2024.” The GOP proclaimed that Obamacare was going to be passing out pink slips. Senator Lindsey Graham (R-SC) tweeted, “Obamacare will cost our nation about 2.5 million jobs.” Speaker of the House, John Boehner declared, “The middle class is getting squeezed in this economy, and this CBO report confirms that Obamacare is making it worse.” Turns out, they were diggin’ for gold but only struck pyrite, otherwise known as fool’s gold, for they merely misinterpreted the report or worse, knew what it meant and wanted to merely spread confusion in misinforming. What the CBO was stating, since a portion of American workers work full time simply for health insurance benefits more than anything else, would either want to work part-time or fully retire from work, which equates to about 2.5 million workers by 2024. It most certainly doesn’t mean that those jobs will be lost, for once vacated they are viable openings to be filled by others willing to work the required full time. That’s actually a good thing overall. Those wanting to retire or only work part-time now can, for under the ACA they can get insurance coverage and for those seeking full time employment they can fill the openings. Seventy-seven new insurance companies plan to issue policies on the ACA exchange this coming 2015. That’s a 25% increase. So the question remains, how can Obamacare be considered the GOPs claim of “socialized medicine” when private company insurers are lining up to sign up folks for their healthcare and make profits in doing so? Premiums will increase, but only in short integrals and certainly not into double digits as opponents of the healthcare law proclaim. Before though, they said prices would soar once the healthcare law was incorporated. On average, for 2015 there will be a modest increase of 8.4% for those that renew in the most popular high end plans. That’s down from 9.1% in 2011 and now insurers have to justify for any increases. Traditionally they always used inflation as the excuse for increases, but since they now have to go before a board for review, if there is low inflation as it currently is, increases will remain modest as opposed to previous policy increases where it really didn’t matter where inflation rates were fluctuating to, insurers raised policy prices at will. Of course Republicans are claiming high rate increases with no real data to support it. Florida Republicans claim a rate increase as high as 36.8% will hit their state. They based this on a hypothetical plan that will not even be sold in their state. In addition, all the GOP claims are based on individual plans and not the larger more popular group exchange market plans that have lower rates and expected lower increases. Then again, if these red states would have opened up to the ACA exchanges and Medicaid expansion, prices would actually drop. If these red states would allow their citizenry access to Obamacare, in conjunction with the current influx of insurers coming aboard offering ACA policies, the number of enrollees and competition would even further drop prices. In conclusion…there will be no rate shock to Obamacare. When Obama spoke out many times in saying if you like your health plan you can keep it, he was not lying, but in his naivety, he forgot to remember the base of the ACA is still ran by for-profit insurance companies. A few were attempting to gouge before Obamacare came fully on line, but most were not, they were simply canceling old plans with new ones that met or exceeded the old health coverage. Even though there were many conservative TV ads and news stories of those who lost their health coverage, virtually all were proven as false. Get that…all were false. For those with existing ills or for those that were healthy with existing plans, they were either able to keep their old plan or be switched to one that met or exceeded the old one. New policies are either lower, at or slightly higher from the original policies and for the most part...more comprehensive. White House Administration officials made sure that for those wanting to hang onto their old policies they have that right until the end of this year; after that the more comprehensive Obamacare plans will go into effect. As a result, out of the ones who wanted to retain their old policies, 92% still have their original policies. To drive my main argument home here on the upcoming election results, in the 2012 election, no matter how Republicans attempted to suppress early voting, it nonetheless materialized and was heavily in favor of Democrats, almost to a point of calling it a surge continuing on into Election Day. 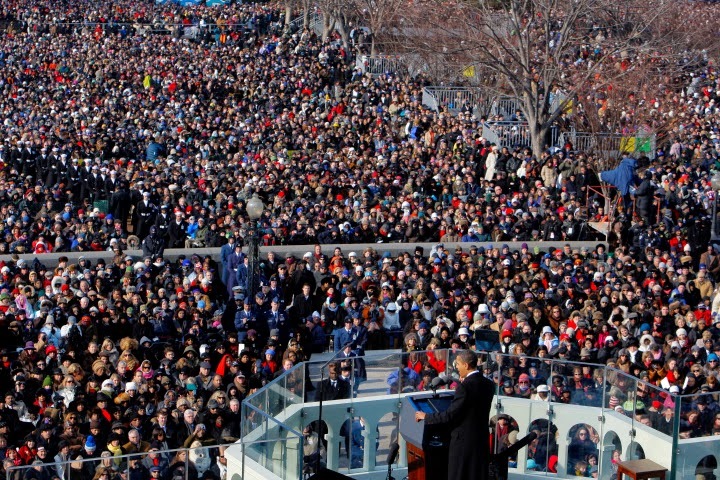 With the 2012 strong turnout we all know the result…it was in the Democrat’s favor. Even though the House is extremely gerrymandered in drawing up Republican favored districts, Democrats actually picked up seats in the House of Representatives. Currently for this upcoming November’s election cycle, the same trend is occurring; there is a surge forming for early voting favoring Democrat voter registrations. This is particularly noticeable in Iowa and North Carolina. In 2012, out of the total of 206,072,000 eligible Americans, 146,311,000 were registered with 131,144,000 that exercised their right in voting. That shows that 61.8% of those registered actually voted. This shows a trend that more registered voters are voting and that rise is emanating from female, ethnic and younger voters…ya know…the voting sectors that Republicans are attempting to stymie. Females showed a 2012 63.7% voting rate while males were 59.7%. Hispanic registered voters were at 48.1%, blacks at 66.2% and whites at 64.1%. For the age bracket of 18-24, 41.2% voted where 65 and over had a high 72% turnout. The educated showed a 77.1% where those that never finished high school at 38.0%. In these figures, the tale is being told, for although some, like Hispanics and youth were low they are the groups increasing. Black and female votes had one of their highest turnouts. On top of all this, Asians voted 76% Democrat in 2012 and are the most educated, highest income earners and fastest growing ethnic group in the U.S. which is showing a halt in Republican votes from the other categories such as the educated and male voters. Wal-Mart has announced it’s cutting its health insurance for its blue collar workers stating that far more employees signed up for it than what they anticipated since the rollout of Obamacare. With 1.2 million workers signed up on Wal-Mart’s healthcare plan, the company claims it had an impact on their bottom line even though the Walton family still pulls in $84 billion a year. Now don’t go blaming the ACA, blame the red states for not instituting it. Under the ACA, if Medicaid could have been expanded to all the red states that refused it, then Wal-Mart’s insurance cost would not have been a concern, but in having to pay their employers full policy prices in those red states, they claim it is too much to bear in their profit margin demands. To sew this debate up of mine, I’ll leave you with some images of active participation in some recent right-wing events and some recent left-wing events. Pay close attention to the attracted crowds from each event and judge for yourself which group is more involved. Above is a Michelle Bachmann South Carolina political rally; below an Elizabeth Warren/Allison Grimes Kentucky political rally. 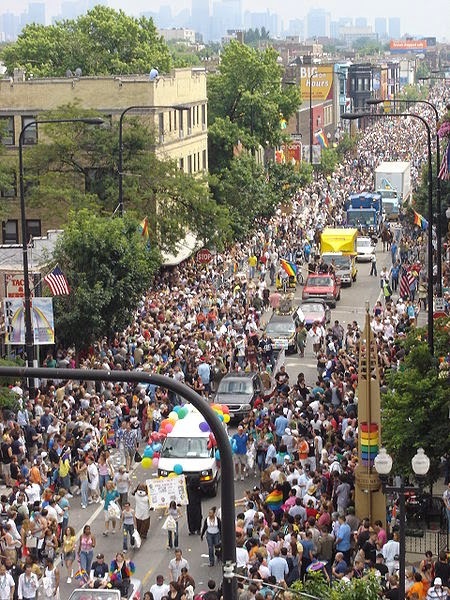 Above is the NRA Washington D. C. rally that went belly-up; below is a Chicago gay pride day rally. 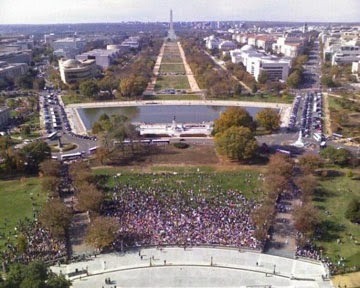 Above is an image of a Washington D.C. 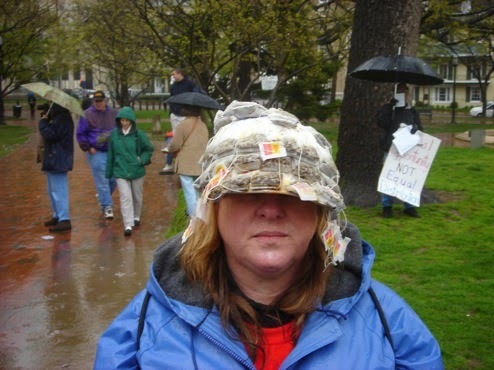 Tea Party rally that Fox news blamed rain on for the weak turnout; below is a California Occupy Wall Street (OWS) rally. 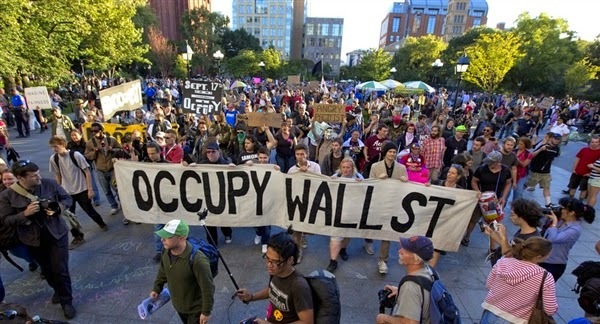 OWS was not an anarchist’s event, for its main issues raised were social and economic inequities, corporate, financial and political corruption, corporate influence on government, job creation and student debt forgiveness. 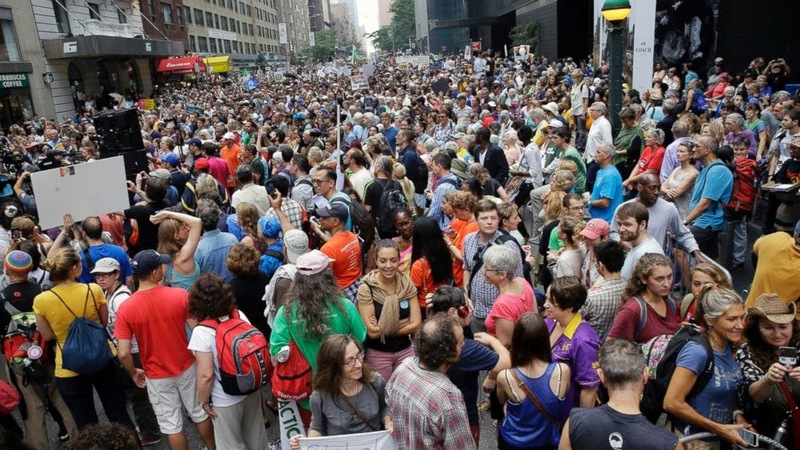 Above is a sampling of the ‘Million Strong Tea Party’ pep-rally that turned out to be a bust with only thousands showing; below a left-leaning NYC Climate Change event that was hundreds of millions strong throughout the nation and globe. Above is a Washington D.C. 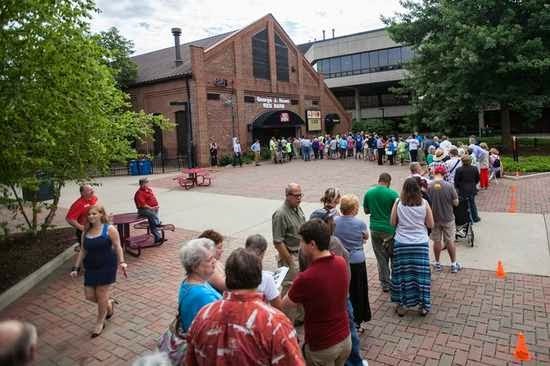 Tea Party political rally attending a Sarah Palin speech; below, the same area with an Obama political rally speech. 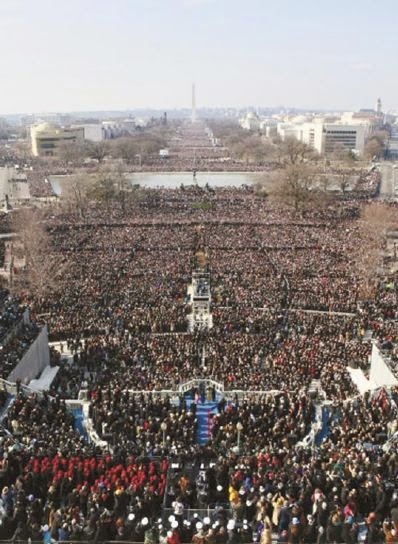 Above are two images, one of a Jim DeMint (R-SC) speech when he was senator at a Washington D.C. 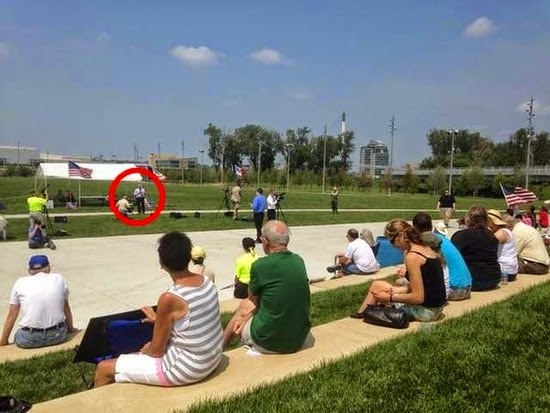 Tea Party rally and one of Representative Steve King’s (R-IA) immigration hate speech at a solid red home district rally in sunny day Council Bluffs, Iowa. 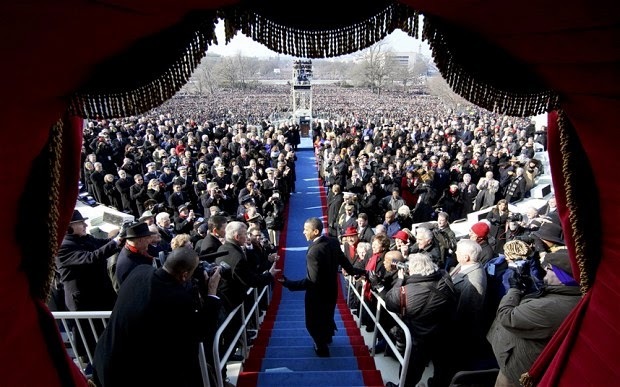 The last two below are of Obama’s 2013 inauguration. If you look at some of the red states controlled by a Republican governor and legislature they are in dire straits. Governor Scott Walker (R-WI) said he would create 250,000 jobs by the end of his four year term with his conservative agenda of taxing the rich less and busting unions. He definitely implemented his union busting and padding the rich’s pockets, but he is far from creating those jobs for the average Jack ‘n’ Jill. He is at best with 102,195 jobs created in Wisconsin; that’s 59.12% off. In fact there was a job loss of 4,300 in this past August alone. Governor Rick Snyder (R-MI) has implemented Marshall Law in his state with his emergency plan taking away duly elected local officials and replacing them with his outside emergency manager teams. These emergency managers have sold local city properties to developers and other private entities at cut rate pricing. All this is benefiting corporations and the wealthy, but is locking out the local citizens from their own front and backyards. To make up the difference in giving tax breaks to corporations while even to those that have outsourced, he has implemented a tax on seniors’ retirement pensions. Governor Rick Scott (R-FL) promised that his ‘7-7-7 plan’ would create 700,000 jobs in seven years. To do that he’d have to create 20,238 per month within 84 months; he’s far from it. In fact, Florida has lost jobs in 33 months of the 44 months Scott’s been in office. Between April and May, Florida lost 17,200 jobs, the largest statewide job loss in the nation for that period. In addition, his policies have cut 25,400 jobs in government employment. Morover, Scott has put more stress on the state’s public by refusing Obamacare where healthcare costs are increasing more so than the nation’s average. Scott’s ridiculous job creation forecast claim along with his errant policies is panging Florida’s economy. The above four Republicans are going to lose this election and I’m almost inclined to include Republican gubernatorial candidate, Greg Abbott in losing his bid to be the next governor of Texas to Democrat Wendy Davis. She was down in double digits just a few months ago at 18%, but is currently as I write this October 07, 2014 day down by just 6 percentage points. That’s an awesome momentum in the surging path propelling her helm. The winds are in her favor for sailing and the conditions make for paddling in the Abbott tugboat. If it continues and nothing major occurs that would fault her whether it be true or not, she will win. One more percentage point whittled off, then I’m putting a big W for won in her column. If these red states with their respective economies being driven into the ground by these Republican governors are an indicator of GOP governance, I assuredly don’t want that to be the case for the nation if Republicans promoting the same policies are elected by November’s election ballots. Core Republicans only listening to right-wing political pundits and conservative news will always remain delusional. Take for instance senate candidate hopeful Republican Cory Gardner running against Democrat Senator Mark Udall in the Colorado race. Who knows where he got that 335,000 Coloradans had existing plans cancelled due to Obamacare but it is blatantly false and he knows this. Before the ad aired he was promoting this false accusation on his speech stumps. Colorado’s ‘Department of Regulatory Agencies’ (DORA) wrote a letter informing him his claim was false in that these folks had signed on to new policies. Nonetheless he still went with it. As far as his sobbing in claiming that even his own healthcare policy was cancelled. Well that’s true but it wasn’t Obamacare’s fault…it was his. Since our political leaders are now on Obamacare, he wouldn’t sign on and cancelled it, preferring instead to pick up a private plan that costs him far more for the same benefits. But hey, it’s still Obamacare’s fault due to Gardner’s misdirected disdain for it…right? Well that’s what most Republicans think and what most right-wingers don’t know…they’re taking Gardner’s word as gospel. The total irony in Republican agendas is represented in North Carolina’s state senator, Wesley Meredith. He has played by the Republican rulebook in bashing poor welfare recipients, but he himself has benefitted from welfare. Meredith and his ex-wife, Beth Longbottom Meredith in 1996 went to the department of social services applied for and received Medicaid and food stamps until 1998 while earning an income of six figures. So Meredith didn’t just receive welfare he did so fraudulently. On his behalf and in defense what are Republicans doing…they’re trying to gloss the investigation over in his welfare fraud by shifting liability to his Democrat opponent stating, “However, if Senator Meredith is being falsely accused for political purposes, we challenge voters to hold his opponent, Mr. Richardson, responsible,” as stated from the ‘Fayobserver’. While Meredith is denying the investigative allegations on his speech stumps for reelection, his ex-wife is professing they are true where tax records of their income backs up her claim. Within the last week, there have been two incidents in red states that have irritatingly stuck with me a bit. One, in Arizona involves the 25 year veteran teacher, Pam Aister who was fired by the ‘Fountain Hills Arizona School District’ for breaking up a fight consisting of five bullies on one minority child. I feel that most any responsible adult would intervene on an incident such as this, but due to the bullies’ parents’ protests over Ms. Aister’s intervention, with one parent complaining that Ms. Aister loudly told her bullying kid to shut-up, the school district’s lawyer advised the school to fire the teacher. In Virginia, a gay teenager was constantly harassed and ridiculed in high school. On one fateful day at Highland Springs High School, Eric Martin, the gay student had enough of the torment and finally challenged in fighting back. Eric was beaten by four students sending him to the hospital for nine days in serious condition with contusions, a concussion and fractured wrist. Not the four bullies, but Eric has been charged with two counts of assault by the police, because he threw the first punch, even though they cannot prove that. As for me though, I’m rooting he did, for the first punch is usually the best punch. Since the charge, school officials will not allow Eric back into school until he signs a statement saying he threatened the school. Eric denies that and will not sign it. If anyone was threatened it certainly wasn’t the school, it was Eric. I know that in the prevailing Republican winds they are anti-teacher and gay, but I would hope that they can see the total discrepancies in these two episodes. I also aspire in hope that insurmountable numbers turn out to vote this off-year election and that is Democrat, Republican and Independent. But as in these two unjustifiable cases, I would hope that each voter is guided by reason more than irrational rhetorical beliefs. I hope that fear or prejudice is not their deciding factor in voting; that it is rather based on a bit of intelligible research on who best represents the common folk…the core of this nation’s greatness. I also would hope that they realize, entities such as corporations have no individual rights as a person does and I would finally hope that they realize big industry that has gotten involved in our politics are not fooled into believing that big industry is on their behalf when in reality the common folk are simply being duped into believing as such, for big industry cares nothing about democracy, they are authoritarian, their only motivation is profit through self-interest and alas…greed.